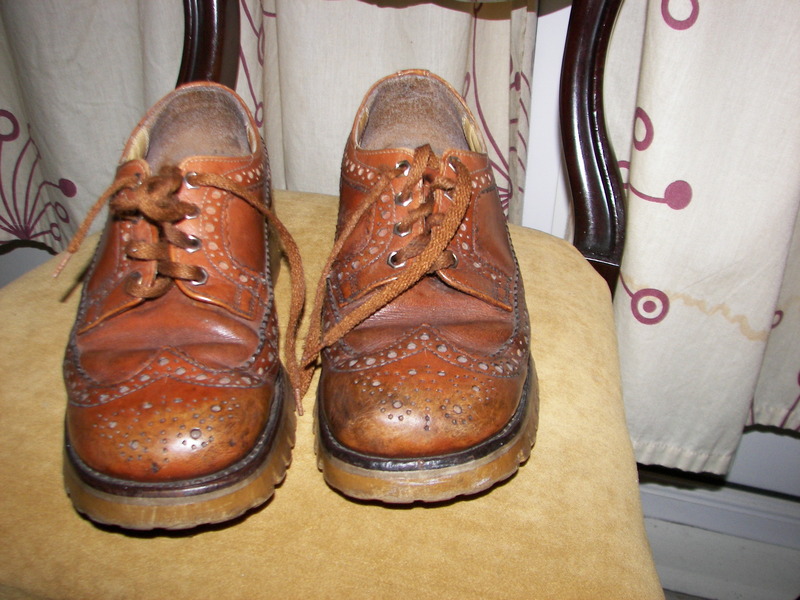 I bought a pair of shoes today in a charity shop. I didn’t leave my flat with the intention of buying shoes but that’s what happened. At 1:45 pm I got on my Mezzo 1-4 bike and set off to visit a not so local bike shop. On the way I stopped off at a charity shop and there they were , a little battered , a little worn and looking sad and abandoned. As you can see from the photo there is nothing special about them. They are just a pair of second-hand shoes and hardly worth commenting on. Who owned these shoes ? A boy or a grown man ? They are size 8 so who’s to know. There is a story behind these insignificant human artifacts if we could but write it. I will walk my own personal mile in these shoes and who is to say where I will go or what I will do in them. Maybe they will prove to be lucky shoes ! Maybe , but I don’t really believe in luck- perhaps because I’ve never been lucky. But that’s neither here nor there and a man needs his shoes and now these little shoes are mine. And who needs friends when you’ve got a good pair of shoes ?